First article here, but i have to start sometime. On with the show. The space rat! What is it you ask? Only my favorite army in a sci-fi enviroment. The space skaven burrow in ruined citys and buildings, and scavenge whatever equipment they can find. They were once humans, and like in warhammer fantasy, were crossed with rats. Creating the Model:I began by rummaging through my bitz box. 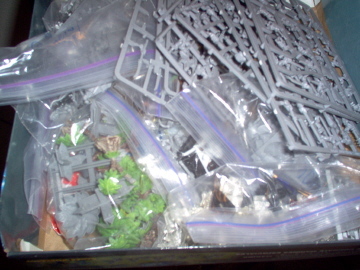 A space marine, a rat head, tail, hands, and lots of putty. I assembled the marine, except for the bolter. I then Filed off the little skull things and the chest eagle. I sculpted wood and metal "patches" on random parts of the armor, and bullet holes here and there. I drilled a hole in the side of the bolter, and put putty inside, sculpted like warpstone. The hands were replaced by rat hands, and a hole was drilled you know where for the tail to come out from. A rat head was glued on, and little gears, pipes, and guages were sculpted on the backpack (sort of like the fantasy poisoned wing glober's backpacks). The whole model was allowed to dry while i thought up colors for the model. 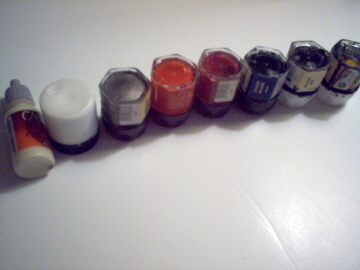 colors used (from left to right) bleached bone, white, blood red, red gore, black, black ink, brown ink, snot green, scorched brown, chainmail, vermin brown, dwarf flesh, elf flesh. 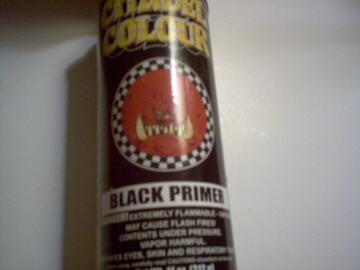 I started by priming black. Watered down black paint was brushed on to where the spray can missed. Once dry, The entire model was drybrushed in Boltgun Metal. 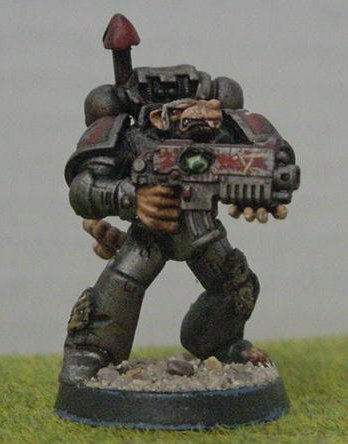 Brown ink, and Black ink were applied at full strength, and the model was drybrushed again in Boltgun Metal. Chainmail was lightly highlighted on the edges. The shoulderpads were painted with Red Gore. Black ink shaded the red areas, and was then hilighted with Red Gore again, followed by Red Gore mixed with Blood Red. 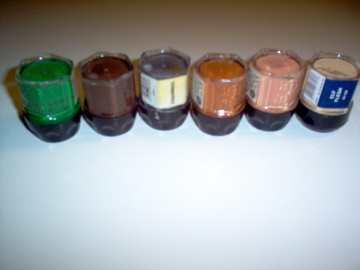 The skin was painted in a basecoat of Scorched Brown. This was highlighted up to Vermin Brown, then to Dwarf Flesh, and finally to Elf Flesh on the sharpest edges. The eyes were painted Red Gore with a dot of white in the corner. the warpstone was basecoated in snot gree, and highlighted by adding in white for several layers until white was used on it's own. some day i hope to make a full army of space rats ( play them with space wolf rules mabye) but that wont be for a while. For now, i will finish a squad of these for the Golden Demon in LA 2004, along with my other entries.